The optimism and hope of "The Age of Progress" is expressed in these song lyrics published in 1860 by H. De Marsan. In typically grandiloquent Victorian style, the author extols recent technological advancements, including the Pacific Railroad and the Transatlantic Telegraph Cable, under construction at the time of the song's composition and completed in 1866. De Marsan also predicts the future benefits gleaned from the emerging American public school system; by 1870, all states would provide free elementary schooling. 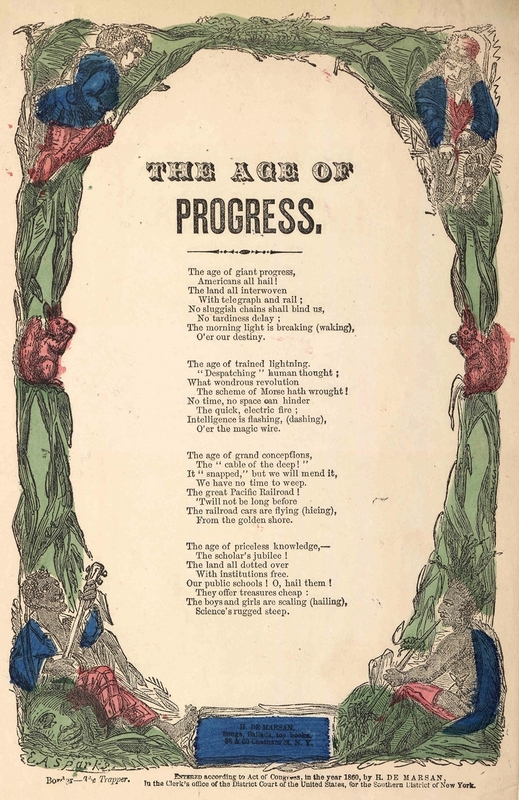 Source | "The Age of Progress," lyrics, (New York: H. De Marsan, 1860); from Library of Congress, America Singing: Nineteenth-Century Songbooks, http://memory.loc.gov/cgi-bin/query/h?ammem/amss:@field(DOCID+@lit(sb10001b)). 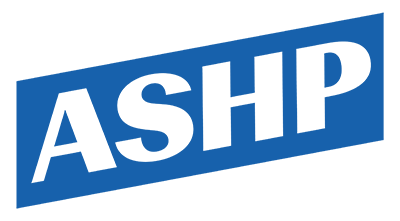 Cite This document | H. De Marsan, “"The Age of Progress",” HERB: Resources for Teachers, accessed April 25, 2019, https://herb.ashp.cuny.edu/items/show/838.